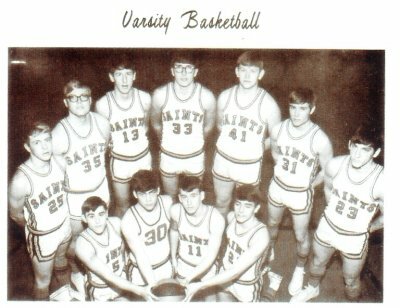 St. Francisville High School "Saints"
St. Francisville (population 759) is located in southeastern Illinois in the southeastern portion of Lawrence County. The town is located on the banks of the mighty Wabash River. County Road N.150th Street connects St. Francisville to Illinois Route 1, just two miles to the west. The Prairie Central Railroad currently runs tracks through the heart of town. St. Francisville is ripe with history. Besides the annual Chestnut Festival celebration in town, St. Francisville once was a stop for the mightiest railroad line of song, the Wabash Cannonball. The bridge over the Wabash River that once laid the way for the Cannonball still remains on the outskirts of St. Francisville. More research on the history of the town and its school system is needed. St. Francisville may have been in the education business in the early 1800's. We do know that a high school was in place by the late 1800's. 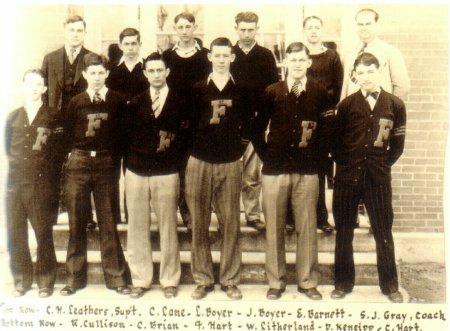 St. Francisville High School served the residents of the area for well over seven decades. It was in 1973 that the decision was made to close the high school in St. Francisville. At some point, in fact, all public school funtions have been closed in St. Francisville. The kids of the town now attend school in Lawrenceville ten miles to the northwest. The fate of the original St. Francisville High School building is being sought. We do know there is a private school (grades K-8) remaining in St. Francisville called the St. Francisville Christian Academy. However, we are not aware of where the classes for this school are held. 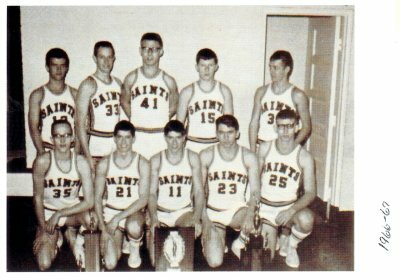 St. Francisville HS team nickname: the "Saints"
SFHS School Fight Song: "St. Francisville Loyalty"
But you must do the rest, St. F. High! To Alma Mater, St. F. High! 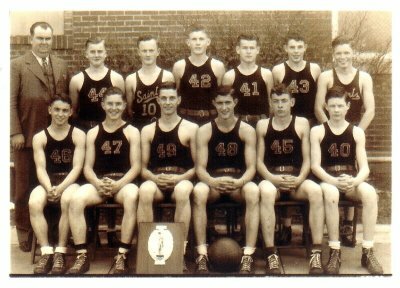 St. Francisville High School was VERY successful as far as the small schools in its area go in the sport of boys basketball. We believe that the school may have offered baseball and track as well. 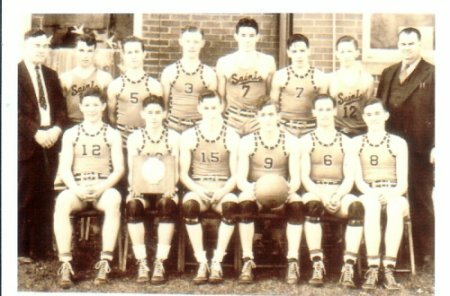 Coaches' names, team records, and names of prominent SFHS alumni are items we are seeking at this time. Talk about the mightiest of the mites for their area! 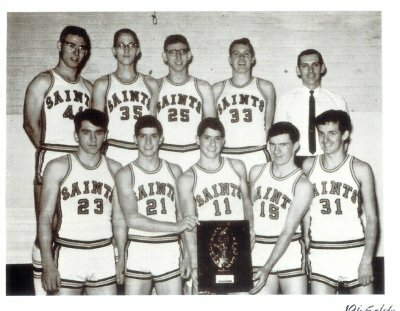 St. Francisville was a constant threat each year to represent the small school of their area in the Regional Tournament. 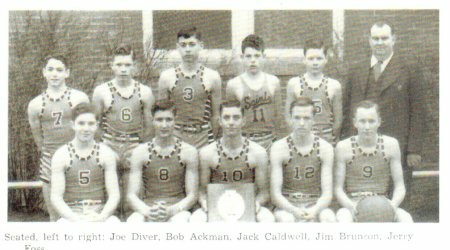 The boys of SFHS won a total of TWELVE District basketball titles (www.ihsa.org). 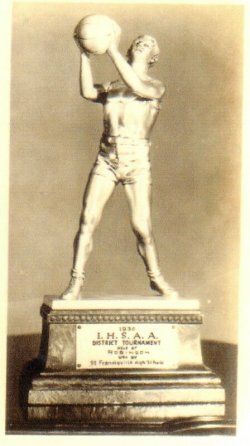 The titles were won in five different decades beginning in the early 1930's. What a great job by the St. Francisville basketball program. 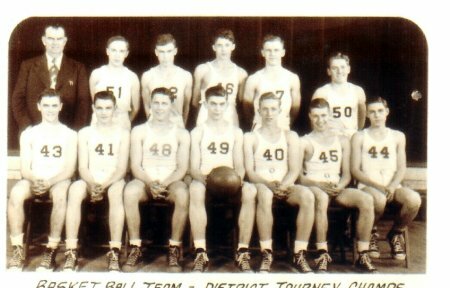 Several scores involving St. Francisville HS participating in the IHSA tournament were located on a website titled "Illinois Postseason Basketball Scores." These scores are listed below. Unfortunately none of the team records during these or any other great SFHS seasons are currently known. The photos and player names of the District Championship teams below were submitted by a great fan of the St. Francisville High School Saints, Holly Taggart! 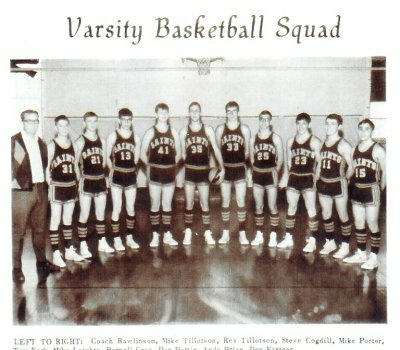 1922-23 through 1928-29 Postseason scores, records, and coaches' names needed. 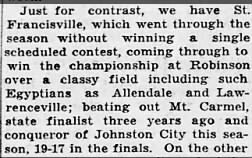 *An interesting note about the 1930 District Title winner: We are told that going into the state tournament, the Saints did not win a game, but won all three contests to claim the District championship! 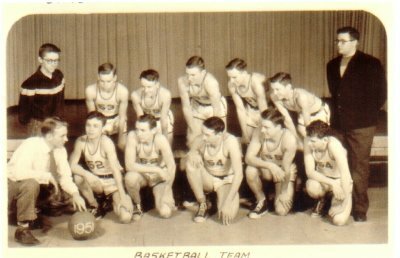 1929-30 team members: Forrest Hart (Captain & forward), Charles Brian (guard), Donald Keneipp (forward), Carl Hart (forward), Willis Litherland (guard), Lester Boyer (forward), Roger Cullison (forward), Eddie Barnett, Charles Lane (guard). 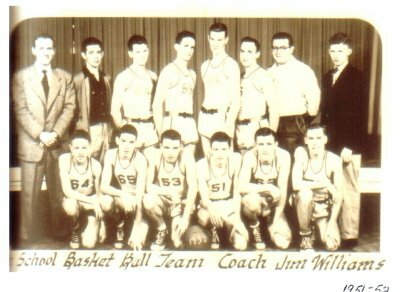 1957-58 Postseason scores, record, and coach's name needed. *Final game for the St. Francisville High School boys basketball program. School district consolidated to Lawrenceville in the summer of 1973.